Yesterday was Apple’s shareholder meeting and, as many of you know, there’s been healthy debate about what they should do with its $137 billion in cash. I had read somewhere that Apple’s cash pile was equivalent to Hungary’s GDP so perhaps an activist shareholder should push an acquisition of Hungary rather than thinking small (e.g., increasing dividends or issuing preferred stock). More seriously, what should Apple do with a massive and growing pile of cash? The three obvious buckets are to invest heavily in new products (the Apple TV or iWatch or whatever), return cash to shareholders (via dividends, buybacks, new class of preferred shares, etc) or acquire stuff. Besides Hungary, what M&A strategies actually make sense? For starters, Apple isn’t Cisco (CSCO) or Oracle (ORCL). Instead, it’s an incredible organization because of its long history of internal innovation rather than excellence in acquiring, integrating, and growing other businesses. Over the long arc of time (by tech standards) Apple has done very few acquisitions above$100 million and has never done a billion dollar+ deal. Buying NeXT provided the foundation of what is now the desktop Mac OS, plus brought Steve Jobs back to the Apple fold. More recently, acquiring Quattro Wireless created the iAds mobile ad network and Siri was a technology acquired from SRI. Less auspiciously Apple bought a Swedish mapping technology company (C3) to form the basis of Apple Maps. Lastly Apple has bought several component companies (chip companies Intrinsity and P.A. Semi, flash memory company Anobit, and security hardware – Authentec) to be integrated in various iStuff. Apple is fundamentally great at creating innovative new platforms that consumers love because they’re easy to use and rationalize digital fragmentation. It wasn’t the first in PCs, MP3 players, smartphones or even tablets — yet Apple revolutionized each of those categories. Apple doesn’t really make money by selling software or even digital content, but it seamlessly integrates software and content to support a high-margin hardware business. 1. Buy Content. Content is strategically important to Apple’s platforms, but in the grand scheme of Apple it’s a pretty meaningless part of their business. If you add up all the content, software and services (e.g., iCloud subscriptions), it’s only about 6% of Apple’s revenue. To put that in perspective, all the chargers and other accessory stuff amounts to about 50% of the revenue Apple generates from content + software + services. Some people think Apple should buy Netflix (NFLX). On paper it makes sense: $10 billion market cap, deals with lots of content owners, a nascent library of Netflix developed content and a happy/loyal consumer base. But it makes less sense to me. Consumers love Netflix because they can get it on all kinds of hardware devices (TVs from many makers, game consoles, tablets, etc.) 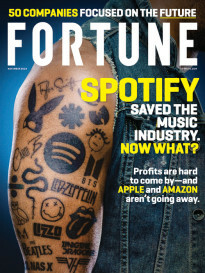 and content owners deal with Netflix because they don’t want iTunes to dominate digital video as it has digital music. Apple could buy Walt Disney Co. (DIS) instead (~$98B mkt cap) and own a vast library of content and the “infrastructure” to develop more (ABC/ESPN, movie studios, etc.). It would probably divest theme parks, but the rest of Disney would give Apple an incredible platform to rethink video at home in an on-demand world. It also would transform the company by making meaningful profits on content in addition to hardware. Time Warner (TWX) would be the other logical choice in this vector. 2. Buy Pipes. Many have thought that communications infrastructure would become “dumb pipes,” and the content and/or hardware companies would win home “infotainment.” Pipes companies are still pretty valuable it turns out, and on-demand video hasn’t really eroded that. 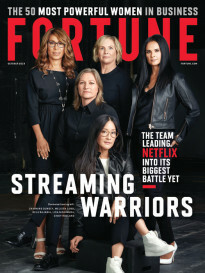 You still need cable or fiber to your home to watch Netflix, and it’s not like total revenue to the “cable” companies (Comcast (CMCSA), Time Warner Cable (TWI), Verizon Fios (VZ), etc.) has really declined. Plus, building out a telecom network to the home is pretty hard and costly … there’s a reason Google Fiber (GOOG) is available in precisely 1 of the top 100 U.S. cities. The satellite TV guys (DirecTV (DTV), Dish Network (DTV)) have good pay TV businesses and nationwide coverage but lack true broadband Internet offerings, so they wouldn’t be a fit. Owning pipes and the content deals that go with them could strategically aid Apple in a couple ways. First, the iPhone was such a profitable success for Apple because it got to double dip — consumers paid Apple, and wireless carriers paid Apple (in the form of subsidies) for each device. No matter how awesome an Apple TV might be, it’s difficult to envision a similar scenario where cable companies subsidized the cost. By the time the iPhone came out, there were three or four wireless carriers with national scale so it made sense for AT&T (T) to do an exclusive with Apple, but cable still tends to be a local duopoly or even monopoly so less incentive to try to shift consumer share. But if Apple owned one of the big cable companies, it essentially could boost the profitability of TVs by internally subsidizing with monthly subscription revenue. Apple also would instantly get access to a huge swath of TV and movie content. Plus if they bought Comcast ($106B mkt cap) it’s essentially a twofer of #1 (content production) and #2 (pipes) now that Comcast has fully acquired NBC Universal. 3. Vertically Integrate. Apple also could vertically integrate in more radical ways. I don’t mean buying Hon Hai (aka Foxconn) to control vast labor and production of Apple’s hardware. I mean component suppliers like Marvell (MRVL) ($5B mkt cap) or STMicroelectronics (STM) ($7B mkt cap) for chips, or Sharp ($3B mkt cap) or Toshiba for LCD displays, etc. Companies like Samsung and LG also supply Apple with displays, but since they compete in end-user devices trying to buy either of them probably wouldn’t make sense. The display components are super low-margin so Apple is unlikely to do that, but the semi companies conceivably could be a better fit. But at the end of the day vertically integrating wouldn’t really transform Apple’s business in the way No. 1 or No. 2 would. 4. Buy A Social Platform. Facebook ($63B mkt cap) is the only one that makes sense to me from a strategic standpoint. Twitter doesn’t really give the same depth of strategic synergy and LinkedIn (LNKD) is ruled out, because Apple is a consumer company rather than business-centric. But even though Apple could offer Facebook (FB) shareholders a 100% premium over the current stock price, obviously this one is never going to happen given Mark Zuckerberg’s voting control of the company. Lee Hower (@leehower) is a co-founder and general partner at NextView Ventures, a Boston-based investment firm focused on seed stage Internet-enabled businesses. He previously was part of the founding team at LinkedIn, serving as director of corporate development from the company’s inception through its early growth phases. He currently He blogs at AgileVC.